Weiss (white) beer is a lightly hopped traditional German style beer, which makes heavy use of malted wheat. Popular among 21st century drinkers, the weizen (wheat) and weissbiers of Bavaria and Baden-Württemberg use a yeast strain that imparts distinct banana and clove flavors. In contrast, the weiss beer style in the north, known commonly as Berliner Weisse, has a decidedly tart or sour taste. It is the latter style upon which many American brewers of the 19th and early 20th century based their somewhat modified recipes. Due to its comparatively unusual taste, weiss had a limited appeal in the United States and, indeed, among Delaware consumers in the late 19th and early 20th centuries. Wilmington’s three major brewing companies never bothered to produce weiss, preferring instead to leave that style to smaller firms. However, weiss beer did have a limited following for a time in Delaware, particularly with Wilmington’s German population. The beer’s popularity and eventual decline and disappearance corresponded with the trends in German immigration to the city and the onset of World War I and threat of National Prohibition. Weiss began to grow in popularity in America in the 1870s. The first documented production of weiss in Delaware occurred in 1880. John Gustav Schaefer, a native of Bavaria, had operated saloons on Orange and Madison Streets through the 1860s and 1870s. In 1880, he purchased the former Weeping Willow saloon on the northwest corner of 11th and Adams Streets and began brewing weiss beer in the rear of the property. 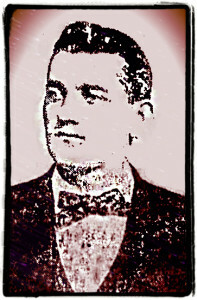 Schaefer’s son, Gustav “Gus”, eventually joined the business as a brewer. Schaefer decided to get out of the tavern trade and expand his brewing operations. In 1885, he purchased property at the western edge of the city on the southwest corner of Seventeenth and Union streets and constructed a small 500 barrel weiss beer brewery. 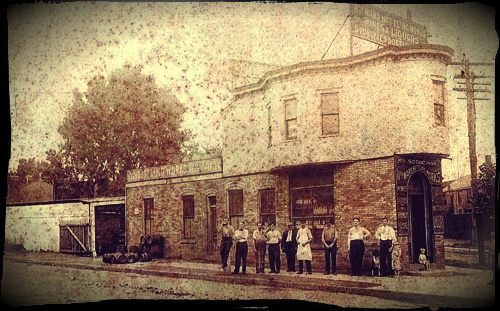 Gus opened a bottling plant behind the brewery in 1890 and began bottling his father’s weiss and soft drinks. One year later, John died and his wife Mary assumed control of the brewery. When Gus died in 1894, Mary and daughter Lizzie began operating the bottling house as well. In 1900, she renamed the brewery, the Diamond State Weiss Beer Brewery, and long-term employee, Robert McCune, became the brewmaster. Mary E. Schaefer proved very capable as proprietor and maintained the business well until her retirement in 1908. Schaefer sold the business to Edward Krause. He was a well-known figure, having operated the Western Hotel in Wilmington. He also served as the president of the national Fraternal Order of Eagles. Krause, whose father was a brewer, continued brewing weiss beer at the old Schaefer brewery. He re-named the bottling plant, the Delaware Bottling Company, where he bottled weiss and soft drinks. In 1910, Krause purchased the old Merritt House hotel on the northwest corner of Front and French Streets. One year later, he decided to devote his time to the hotel business and closed his bottling plant and brewery. Bottler and Polish native, Stanley L. Sobocinski, owner of Eleventh Ward Bottling Works, purchased the brewing equipment from Krause and had it moved to his plant on the triangle at Maryland Avenue, Van Buren and Beech streets. Sobocinski brewed and bottled weiss beer from 1911 until he sold the operation to Bronislaw and Stanley Lewandowski in 1915. With Prohibition on the horizon, the Lewandowski brothers decided to shutter the brewing operations and focused instead on bottling only soft drinks.